Marijuana proponents celebrated on Wednesday after the ouster of U.S. Attorney General Jeff Sessions, whose tenure as the nation’s top law enforcer included stern policies on narcotics enforcement and sentencing. “He’s been an absolute disgrace on drug policy,” said Michael Collins, interim director of national affairs for the Drug Policy Alliance. President Donald Trump on Wednesday announced that Matthew Whitaker, Sessions’ chief of staff, would serve as acting attorney general. Whitaker isn’t well known to the drug reform movement. “We would welcome any attorney general whose policy ideas would move beyond the 1980s,” Collins said. Sessions was reviled in the marijuana industry and drug reform movements for his move in January to rescind an Obama-era policy mandating a mostly hands-off stance for federal enforcement of U.S. cannabis law in states that have legalized the drug. The former senator also hit the brakes on sentencing reform policy. Sessions directed his federal prosecutors to seek maximum sentences for even low-level drug offenses. The lawman’s policies came at a time when drug reform groups had gained momentum, with some states legalizing marijuana, others recognizing medical pot, and still more reducing sentences for small-time drug crimes. On Tuesday, Michigan became the tenth state to have legalized recreational cannabis. Another 32 have approved medical marijuana. The pro-cannabis community never had high hopes for Sessions, who once said “good people don’t smoke marijuana,” but his policies soon made him the legalization movement’s biggest drag. “He certainly made negative comments” about pot, said Mason Tvert, spokesman for the Marijuana Policy Project. His reversal of Obama’s cannabis enforcement policy, Tvert said, sparked an exodus of investment in marijuana at a time when money is being drawn to the sector by state legalization. “It certainly had an impact on the market and investments — and resulted in deals falling through and people pulling money out of companies,” he said. But reality on the street was that Sessions’ bark didn’t match his bite. For example, his edict to enforce federal pot law — marijuana is labeled by the Drug Enforcement Agency as a schedule 1 drug alongside heroin and LSD — didn’t inspire his troops to act. “The Justice Department’s marijuana policy in practice hasn’t been that different than that of the previous administration,” Tvert said. Kevin A. Sabet, president of anti-legalization group Smart Approaches to Marijuana, agreed that there’s been a certain continuum. He said a personnel change shouldn’t affect the law. “This doesn’t change anything,” he said via email. “Marijuana was against federal law before, during, and now after,” Sabet said. 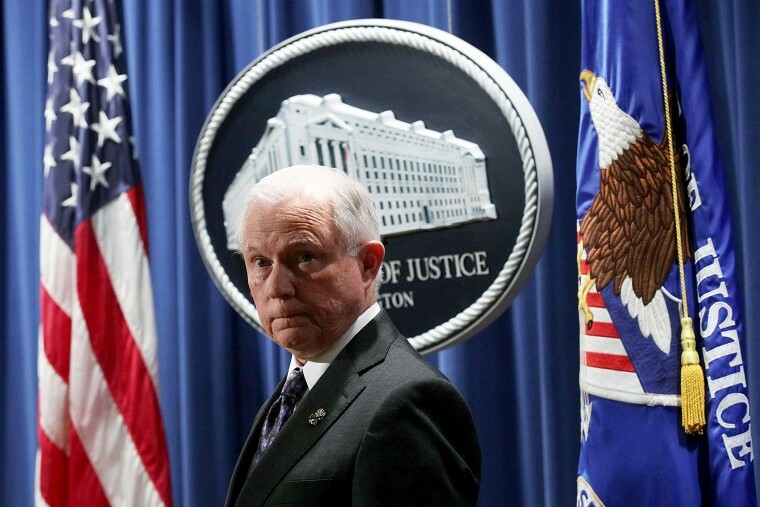 Still, drug policy reform advocates would like to see an attorney general who reverses Sessions’ pot enforcement mandate and who, like Trump, believes that cannabis legalization is a states’ rights issue. “Our hope is the next attorney general will recognize that it is not politically popular to escalate the war on drugs,” said Collins of the Drug Policy Alliance. Sessions’ exit has already given a boost to marijuana stocks and investments. Micah Tapman, managing director at cannabis venture capital firm CanopyVentures, said recreational and medical campaign victories on Tuesday in Michigan and Missouri paired with Sessions’ resignation Wednesday has had eager investors calling him on the phone.